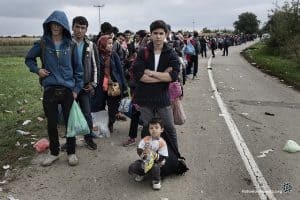 What will happen when SHTF? We can spend a lot of time speculating about how people will react in the aftermath of a major disaster, how society will react, what food will be available, and the many other survival details. But the truth is that we don’t know what will happen when SHTF. The best thing we can do is imagine as many possible scenarios as possible, and take steps to prepare for them. 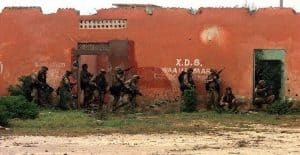 However, we CAN take a lesson from SHTF situations throughout history. By seeing what happened in the past, we can get an idea of what may come. 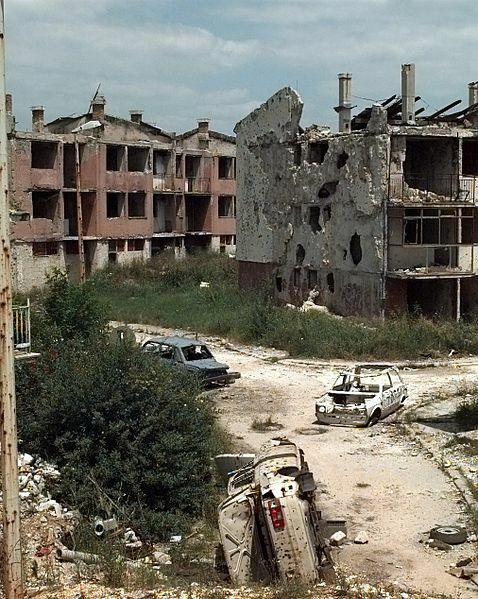 The Bosnian war of 1992 to 1996 is one of the most recent examples of a total SHTF situation. Upwards of 329,000 people died during the war and the country is still recuperating in many ways (though it has also made a remarkable recovery). 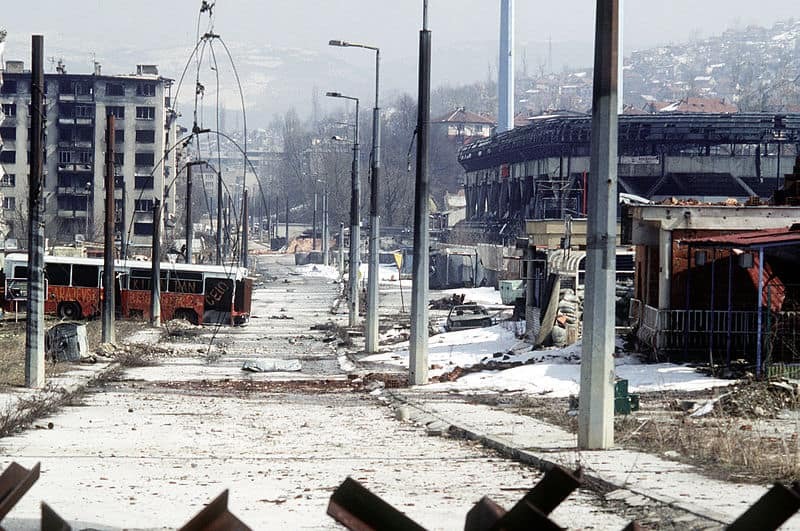 During the Siege of Sarajevo which lasted 1,425 days, people were without water, electricity, and supplies. Bear in mind that Bosnia was a very westernized, modern country when the war broke out. Heck, the capital of Sarajevo even hosted the 1984 Olympic games! 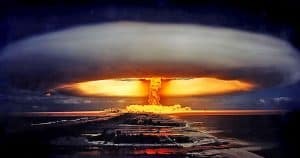 Don’t think that war or disaster couldn’t happen to you. It happened in Bosnia, and could happen anywhere. 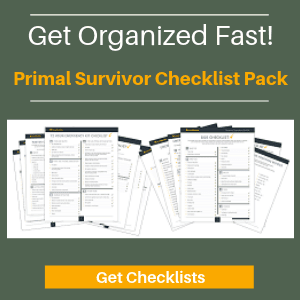 Learn from their survival stories and be more prepared for if SHTF. Supplies Will Run Out. Skills Won’t. One of the best real-life survival stories from the Bosnian war is called One Year In Hell and published at Personal Liberty. The author gives a detailed account of how he and his family (most of them) were able to survive the brutal war. It is all fine to stockpile food and supplies for a disaster scenario, but in a real SHTF situation, those supplies will quickly run out (or be stolen from you). They say that you can survive up to 30 days without food, but hunger will get the better of you long before then. When hunger sets in, you will eat anything. Bosnian war survivors tell stories of eating pigeons and rats. They ate stinging nettles and other urban edible plants. When no food was available, they ate grass and leaves. One of the most poignant stories of hunger that I read is from a girl named Maja who was 16 when the Bosnian war broke out. You might be able to go 30 days without eating, but you can only survive about 3 days without water. There was no working plumbing during the Siege of Sarajevo, which meant that people had to collect rainwater and risk sniper fire to fill water jugs at the river. It is understandable that people literally dying of thirst would gulp down the first bit of water they got – but many people died from diseases obtained from drinking dirty water. 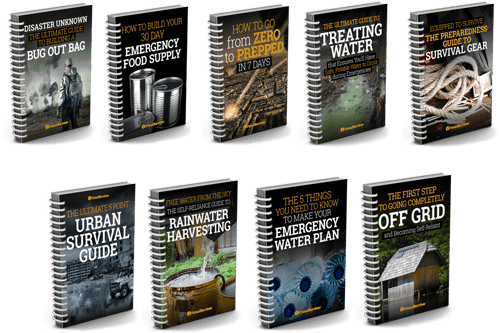 Know how to purify water in case SHTF. Bosnians spent a lot of time during the war crouched down in basements and holed up in apartments. It is incredibly boring. Without anything to occupy their minds, fear would overwhelm them. No wonder survivors say that books became their only respite. I’m going to add some more books (the paper kind, not Kindle!) to my survival supplies. This one would seem kind of obvious, because who wants to worry about prenatal nutrition when you don’t have anything to eat. But a surprising number of women did get pregnant during the war. It has to do with the last point. Think about it. You are bored out of your mind. You are trapped in your home. And there is no light. What do you think people did? Of course a lot of women got pregnant! You might want to stockpile some birth control pills and condoms in your survival supplies. Even if you had some precious gasoline, driving a car during the Bosnian war was a bad idea. The streets were so destroyed and full of wreckage that you couldn’t drive, and being in a car would make you a target. Instead, a bike was a great method of transportation. On a bike, you could navigate through the wreckage and also go quickly so you were less likely to get hit by snipers. In the “Siege of Sarajevo” museum, there is a bike on display. This bike not only helped its own survive sniper fire, but was used as a generator for radios and other electrical devices. Even this isn’t necessarily going to save you. One Sarajevo siege survivor talked about the garden they made on their apartment balcony. They had to decide whether to eat the tomatoes while they were still young and small, or wait for them to grow and risk having them get stolen. Also note that within 2 months every tree in the city parks was cut down for fuel and warmth. The reusable resources around you will be in high demand, so don’t count on them being there for you. People tore up their floorboards to burn for heat! Remember, there is strength in numbers! Talk to your neighbors about making a community disaster plan. The only person you can count on in a SHTF situation is yourself. Don’t count on authorities like the police or military to keep you safe. Take what happened in Srebrenica as an example. It was a “UN Safe Haven” with Dutch troops stationed there. Despite this, it became the site of the worst massacre of the war and over 8,000 men and boys were rounded up and killed. 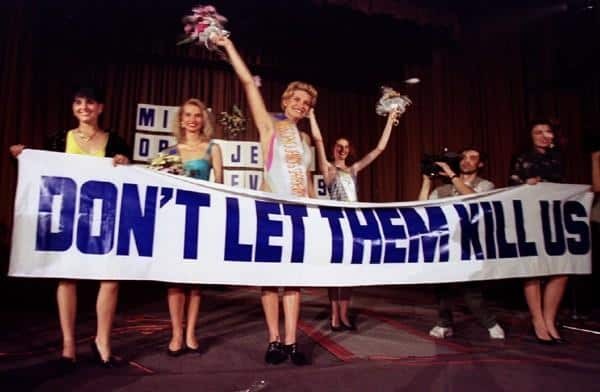 The day that Srebrenica fell, 25 thousand refugees pleaded for help outside of the UN military base but were left outside to fend for themselves. Perhaps the most amazing stories from the Bosnian war are the ones about how people went on with their lives – despite the horror happening around them. They made their own beer. They held a “Miss Besieged” beauty contest! 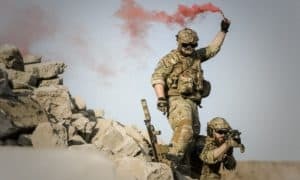 What do you think is the most important survival skill to get you through a SHTF situation like war? Let us know in the comments.